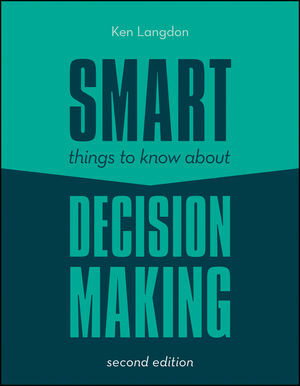 Decision trees or backing a hunch - smart advice on the art and science of decision making. KEN LANGDON has worked for many major computer companies world-wide, including Hewlett Packard and DEC, and is presently the non-executive chairman for SofTools, a supplier of electronic Integrated Support Systems, and Glenhurst Ltd, an air conditioning supplier and contractor. Ken is a prolific writer whose books include Key Accounts are Different and a contribution to the The FT Handbook of Management, as well as several books in Capstone's Smart and Express Exec and 100 Greatest Ideas series.